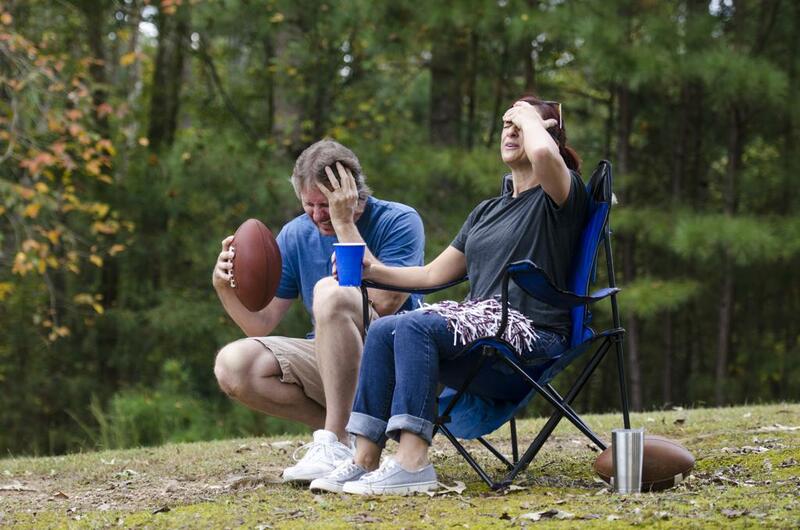 Competitive natures can sometimes get the best of parents, especially when watching their child play sports. While most stay in control, some parents react with poor judgement and cross the line of good sportsmanship by acting on their emotions. In 2013, the Chicago Tribune reported a parent stepped on the field to confront a referee and then refused to leave. The referee ejected the parent, called the game and the club banned the parent from attending another contest. The Washington Post reported that after multiple parents berated a referee during the last game of the 2008 season, every parent supporting the Bethesda’s Legacy U13 girls’ soccer team was forced to watch the first two games of the 2009 season from at least 100 yards away. According to the Orlando Sun Sentinel, there was at least one incident per month of a parent engaging in physical or verbal violence with a referee or another parent at youth sporting events in South Florida between 2012 and 2013. While these statistics carried across all youth sports, they do include the banishment of six soccer dads and a team’s entire parent section from their children’s games. And these types of incidents are impacting children’s attitudes toward their parents. Florida-based i9 Sports, which franchises youth sports leagues for girls and boys aged 3 to 17 years old in more than 500 communities across the United States, conducted a survey in 2012 and found 31 percent of kids would rather adults not watch them play sports. Further cause for concern: results from a Sports Illustrated for Kids survey showed 74 percent of kids had reported seeing out of control parents at sporting events. At some point, every coach will likely deal with aggressive parents. A poll commission by Thomson Reuters in 2009-2010 cites that 53 percent of Canadian parents and 60 percent of parents in the United States have witnessed some kind of verbal abuse towards referees or coaches when attending sporting events. While there is no single solution to prevent fathers and mothers from acting out, youth soccer administrators and coaches have developed a variety of strategies to help curtail these outbursts. Bobby Lennox, the manager of player development at the Ontario Soccer Association, said communication is most important factor in ensuring parents do not become overzealous. A season’s direction and atmosphere can hinge on a coach effectively communicating what are the expectations for appropriate behavior. Coaches must also hold themselves to a higher standard and be aware they can set the tone during games, Lennox said. He has noticed parents are more likely to emulate a coach who is behaving poorly. It’s natural to become animated when a referee makes a call or misses a play that could injure a player, but coaches must realize that their actions can help set the expectation level for players and parents, said Lennox, adding that coaches who control their emotions can help make significant strides in ensuring others will do the same. Jake Smith, director of coaching, So. Saint Paul Youth Soccer Assoc. It’s an approach Jake Smith has used in more than a decade coaching male and female teams from the U12 through university levels. Smith has experienced his share of parents reacting poorly and developed several strategies for dealing with those situations. 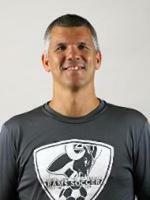 Smith, who is the head coach of the men’s soccer team at North Central University in Minneapolis and also serves as the director of coaching for the South Saint Paul Youth Soccer Association, recommends holding informational meetings at the beginning of every season to establish a line of communication between coach, player and parent. He gives the same talk to parents of players any age group below the high school varsity team level. “There are four roles in every game: referee, coach, player and parent. You can only be parents,” Smith said. This very simple breakdown can give parents a foundational understanding of their function as part of the game and the team. It’s important to communicate exactly what is to be expected of them, Smith added. They should be informed how their actions can directly affect their children and the game, both positively and negatively. Coaching is not — and should not be — a democracy, Smith said. But coaches don’t need to come across as authoritarian and unapproachable to be successful. When parents and players feel comfortable enough to come forward with concerns, it’s less likely that they will act inappropriately during games. Those situations can be more than just an embarrassment, they can have even greater consequences. Patty Forbes, executive director of the Durham Region Soccer Association in Ontario, Canada, has seen too many athletes stop playing because of their parents’ sideline conduct. “The behavior of parents can literally destroy a child and, at the very least, take all the fun out of the game,” Forbes said. It’s easy to understand the passion that occur while watching a child play, but there is no excuse for parents to become abusive toward referees, players, coaches or other parents, Forbes added. Much of the duty does fall on the parents to act responsibly, but coaches and clubs must also leverage their authority to facilitate a positive atmosphere. Some programs, such as those in Forbes’s district, require parents to go through a mandatory behavior expectation module during registration. They also hold coaches directly responsible for parental behavior by imposing suspensions or fines on the club. These sorts of steps, along with having a strong line of communication, stating parental expectations early in the season and setting an excellent example on the sideline, can help coaches eliminate troublesome game-day behavior from parents and foster a positive atmosphere that benefits everyone, including -- and most importantly -- the players.